The Outdoors Forum from the old RMB site has been resurrected and is being hosted on the new RMB site using a new server and modern forum software. Thank you Rocky Mountain Books. The most popular forums: Scrambling, Alpine Climbing and Backcountry Skiing, have been retained and a number of other more general forums added. While the forum covers the whole of the Canadian Rockies, there is usually a lot of activity in Kananaskis Country, so if you scramble, make alpine ascents or backcountry ski, this is the forum for you. Most of the old forum’s trip reports are available in the Trip Report forums. 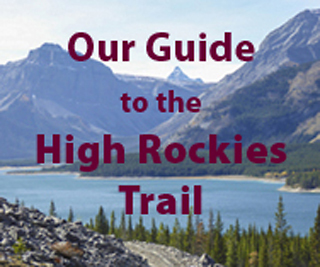 Our Kananaskistrails.com forum covers Hiking and Snowshoeing and other activities in K-Country. You can access the forum by going to the RMB website and pulling down the “Fun” menu or directly by clicking here. My name is Udi Krasner and i’m from Israel.I’m planning to hike the GDT this year and i’m looking to get some information on the trial.